March 1600 – The Kunjali IV had just surrendered to the Zamorin. Andre Furtado reneging on his agreement, dragged Kunjali away, while the Zamorin’s Nair cohorts tried to fight off the Portuguese, but failed. Kunjali and 40 of his people were spirited away to Goa and put into a tronquo, a trial was speedily conducted and Kunjali was sentenced to death in spite of the terms of his surrender which were that his life would be spared. The padre’s at Goa tried hard to have him converted before his killing, but they failed. Finally he was executed in a French style guillotine and his body was later quartered and exhibited in the beaches of Panjim and Badrez. His salted head was sent off to Cannanore for exhibition. The matter should have ended there, but as it often happens, it did not. On one hand the Zamorin found that the Dutch VOC would perhaps help him unseat the Portuguese. They were already pouncing on Portuguese shipping on the high seas and the losses were becoming serious. And on the other hand there was the case of one Dom Pedro who single-handedly went against the Franks. I had mentioned him briefly in a previous article, but he deserved a more detailed study. In fact I think he was a more effective counter on the Portuguese in their dying years, perhaps even sounding their death knell, compared to some of his predecessors who received and continue to get much of the acclaim, as oppressors of the franks. Dom Pedro was first noticed by Pyrard Laval. You may recall that Pyrard had been imprisoned by the Portuguese in Cochin and later moved to Goa, in irons, first to a hospital and thence to a tronquo (civil prison). He saw the lad Dom Pedro whom he presumed to have Castilian (Spanish) origins and a certain amount of honesty, since he offered to compensate the prisoners their allowance which had been stolen by his fellow officers. Pyrard had in his detailed description of the prisons, explained how corrupt the Portuguese in Goa were. As Pyrard recounts, Dom Pedro later got into a fight with a local and killed him, and was forced to go back to Spain. The next parts of Dom Pedro’s story are a mystery, for Pyrard does not mention him anymore, implying that he has returned to Spain, in a voyage which Pyrard himself had taken in 1609. But well, as it turned out he was not a Spaniard, but a Marakkar, the dead Kunjali IV’s cousin. Let’s now flash back to a 1581 conflict where a boy of 13, stated to be a cousin of Kunjali IV was captured by Don Furtado off Cardiva. This boy, as is recorded, by virtue of his noble birth, received some measure of consideration. He was subsequently baptized, and in recognition of his high standing given the name of Dom Pedro Rodrigues. He was then married off to a Portuguese orphan and given a job, he did not work like the rest of the convicts, but was placed in command over a squad of prisoners. All the same, he was in chains, and this was the person whom Pyrard Laval met in Goa in 1608 or so. As fate would have it, as the story goes, the very same Dom Pedro had to witness the beheading of his own cousin, Kunjali Marakkar in 1600. One fine day, when the demons in his brain would not leave him in peace any longer, Dom Pedro scooted away from Goa in a small boat with his family and headed for Ponnani where his kinsmen lived. They quickly rallied around him and gave him a new name, Ali Marakkar. 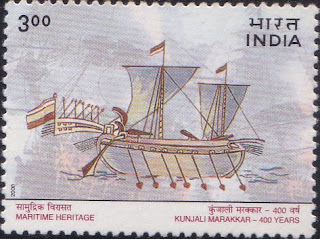 By 1618, he had built up a fighting force of 5 war paroes manned by Moplahs from Malabar and the Konkan. Supported indirectly by the Dutch and the Zamorin, this new foe harassed the Portuguese ships, even blockaded Goan ports and troubled them no end. It is also mentioned that he sailed to Ceylon, to the Tanadiva Island to be precise and murdered the two Franciscan priests who had converted him as a child and to add salt to the wounds, also spirited away the cattle from the quay of elephants off the Forcados Island. Before that let’s double back and take a look at some descriptions of the Malabar Corsair and his abode in North Malabar. It is written fancifully that that the Malabar Sea coast with its many small harbors and lagoons which favored trade in ancient times, also sheltered the little vessels of the Malabar corsairs, who harried commerce in the Indian Ocean from the days of Pliny and Marco Polo until the British period. Ever wondered how a marakkar or moplah seaman looked like in those days? Corsair attacks on Portuguese vessels have been written about often and a description of the Marakkar Moplah corsair by Pyrard Laval would be interesting- The Malabar merchants are recognized by their dress, and not otherwise; for while both merchants and corsairs usually carry arms, the merchants do not wear their hair long; they have a bonnet of red scarlet, in the form of a skull-cap, and most frequently a kerchief wound round it in the fashion of a turban, and called Mondow"; these kerchiefs are of gold embroidery and colored silk. They wear the beard half shaved, but without moustaches. Also they have a little skirt of silk or cotton reaching three finger lengths below the waist, and below that a cloth down to the knees. Then they have other pretty kerchiefs wherein they tie up and conceal their money. It is the habit of these merchants, as well as those of the Maldives and other places, to carry everything with them when they go to sea, both their petty baggage and their beds for sleeping on, for they will never sleep on other folk's beds if they can help it. The corsairs wear their hair long like women, and never cut it; they tie it in a bunch, like all the other Indians, and cover it with one of these pretty kerchiefs; they go quite naked, except that they are covered with a silk cloth as far as the knees, and have another handkerchief round the waist. All the Malabars, as well corsairs as merchants, carry knives with hafts and sheaths of silver—that is, such as can afford it; these are all beautifully fitted with little pendants, such as toothpicks, earpicks, and other instruments. The corsairs wear the beard shaved, but never shave over the mouth nor the moustaches: these they wear like the Turks, in such wise that some have moustaches so long that they tie them behind the head. All the Malabars are covered with thick hair over the stomach and elsewhere; they wear no slippers. Their women are dressed like the other natives, and wear nothing upon their hair; they carry a quantity of gold earrings and rings and trinkets on their fingers and toes. They have a little light jacket of cotton down to the waist, and another silk or cotton cloth which reaches from the waist down to the feet. They go barefooted, and are very fair in complexion, and most of them are short of stature: the men are of middle height. The women are pretty, and addicted to licentious practices like the other Indian women, but not to the same extent as in other places. When they find a stranger at one of these Malabar corsairs' ports, who is willing to go to the wars with them, they feed and maintain him all the winter, him and his wife, for they marry as soon as they settle awhile in any place. They engage in good time some soldiers and Moucois at high wages, which they advance to them to bind the bargain. When they are ready for the fray they take some betel, and some Amfian or poppy juice, which most of the Indians use. They take this betel and amfian, or afeon, and swear fidelity thereupon. After making a prize, and before coming ashore, they search every man on board and the whole ship. The captain and chief men lay hands on everything, and account conscientiously to the owner of the galiot or pados. It is incredible the fatigues these fellows will undergo at sea, and how they endure hunger and thirst. They have plenty of cannon and other arms; but of money and other valuables they carry with them not so much as five sols' worth: all that they leave on shore. As soon as they have taken a prize they come in to discharge, and return to sea at once, if there seems a likelihood of other booty; if not, they remain at home for that year and consume the produce of their theft and rapine for the next six months. Marco Polo mentions that there issued annually "a body of upwards of one hundred vessels, who captured other ships and plundered the merchants." He alludes to the Moplahs forming what they called a ladder on the sea, by stationing themselves in squadrons of twenty, about five miles from each other, so as to command as great an extent of water as possible. But in the old Venetian's day, the corsairs appear to have been by no means so sanguinary as they afterwards became. He expressly states, that when the pirates took a ship, they did no injury to the crew, but merely said to them, "Go and collect another cargo, that we may have a chance of getting it too." A little background to Portuguese Ceylon would also be in order. The Portuguese had been present there since 1505 and thriving with elephant and Cinnamon trade. They entrenched themselves in Sitawake Kingdom of Kotte upon Dharmapala's death in 1597, as usual playing one against the other. Direct Portuguese rule inside the island did not begin until after the death of Dharmapala of Kotte, who died without an heir. He had bequeathed the Kingdom of Kotte to the Portuguese monarch in 1580. By 1600 the Portuguese had consolidated after quelling many local rebellions. An invasion in 1591, undertaken at the instigation of Christian missionaries, succeeded in installing a Portuguese protégé at Jaffna. Soon they had virtual control of the island except for the Central and eastern parts which were under the reign of Vimala Dharma Surya, who went against them when the Portuguese tried to capture Kandy. Soon he routed them and married Dona Catherina whom the Portuguese were trying to implant as their queen in Kandy. To defeat and control the Portuguese he needed to control the seas and for that, he needed the support of the Dutch. This was the scene when Dom Pedro came by. The Kandyans were trying to woo the Dutch and later the Danes. The Jaffna king was trying to get the Portuguese out by requesting the Zamorin for support, who if you recall was also aligned with Mayudane much earlier. As history would have it, the appearance of a Malabar fleet was to attract the Portuguese military presence to the northern kingdom with devastating results as you will soon read. Mendonca had been sent to Malabar owing to the presence of a Kunjali admiral of the Zamorin of Calicut in 1591 and now in March 1619 the presence of his cousin, a baptized Christian named Dom Pedro Rodriguez, raised the alarm in Portuguese Ceylon. Dom Pedro Rodriguez, this cousin of the last Kunjali, appeared off Jaffna with five armed vessels, presumably at the request of Cankili 2, the last ruler of Jaffna, to inflict great damage on Portuguese shipping. I had provided some details when I wrote about Kunjali’s revenge many years ago and more recently about Chinali. Let us now rake out some of the details of Ali Marakkar’s exploits which should have been a subject of legend in Malabar. Regrettably it is not so, for most people wrongly assumed that the fight went out with the demise of Kunjali IV. Danvers who outlined his fearless exploits explains that Dom Pedro, took possession of the islands of De las Vacas and Tristao Golayo. The Las vacas islands or island of cows is incidentally a small island twenty miles south-west of Jaffna in the Palk Strait (called Meekaman or Nedunthivu by the natives). The Portuguese subsequently named it das Vacas, and the Dutch who followed them renamed it Delft and the fort there is particularly striking. It is a very strongly fortified two-storied dwelling, covering an area about fifty square yards, with a double centre wall of immense thickness. This wall completely cuts the Fort in half at ground-level, the only means of communication being on the first floor-a common precautionary measure in defensive structures of that period. As a result, it is a very complicated edifice, full of long narrow and little square rooms. Dom Constantino had arrived at Colombo in 1619, to beef up the undisciplined Portuguese troops and head the attacks on Mayadunna. The attack results in the involvement of the prince of Uva and a setback for the Portuguese but they managed to beat Maydanne in the mountains. He then decides to take the attack to Chankili II and his Tanjore mercenaries and face them off at wannar ponnani. It was in the midst of all this turmoil that Dom Pedro made his appearance. Dom Constantino de Sa sent out a force consisting of forty galliots, which joined eighteen other smaller vessels at Manar from Colombo, to put a stop to this Dom Pedro’s aggressions, These proceeded, under the command of Vitorio de Abreu, to the island of Golayo, where Abreu was informed by two blacks he found there that the five paraos had gone to some place nearby for ammunition, and that before they returned he might possess himself of goods to the value of 60,000 ducats that had been left there in a house by Dom Pedro. He, however, doubting the truth of this information, took no action in the matter, but waited for the return of the paraos, which he engaged, but was defeated, losing twelve of the eighteen small vessels and 300 men killed, besides several who were taken prisoners, of whom he himself was one. During this fracas Dom Pedro’s men occupied the ilhas da vacas and seized its fort. Ali Marakkar’s exploits continued through 1619 with Felippe de Oliveira reporting in July that these 5 paros had entered the coast of Mannar at the insistence of Chankali. When the locals frantically called on the Portuguese high command for help, Constantino de Sa sent two galliots and 40 vessels commanded by Vitorio de Abreu. They were decimated by Ali Marakkar and his men, but Felippe reported home that they lost the battle due to the many sins they had committed and that this was god’s punishment coupled by disorderly movement and contrary winds. We can see confirmation from another report that Dom Pedro had seized the vantage fort at Ilhas das vacas (Cow Island) and was laying a siege on Portuguese shipping. Fearing that Dom Pedro might cast his sights next on Portuguese Ceylon, Felippe de Oliveira was deputed next to attack Dom Pedro at Jaffna. As matters would have it, Dom Pedro seized 12 out of the 18 tonis (Malayalam for boat), killed 300 men and enslaved the rest including the captain Victorio de Abreu. The Portuguese decided that for safety sake, their ships would now be sent out only as convoys or cafilas comprising 300-400 small vessels. The Malabar fleet powerful now, sometimes blockaded the Goa ports, and even captured many ships off these convoys, as many as 30-40 in one swoop. Dom Pedro attacked these Portuguese merchant fleets with abandon, even though traveling in convoy and took one of the vessels with little opposition. The merchants of Nagapatnam desired the goods recovered, but the scared Portuguese refused to make the attempt. Interestingly, a Spanish fly boat happening to pass by retook the cargo vessel without difficulty, demonstrating how laid back the Portuguese were by this time. The Portuguese were a hard pressed lot those days (the fury of the oncoming monsoons were another reason) and mainly beset by a lack of funds, suffered these attacks silently. By 1619 Ali Marakkar had surpassed all his Kunhali predecessors in not only destroying ships but also hundreds of Portuguese soldiers, with just his 5 paros, a lot of bravery and some merry men. By June 1619, there were two Portuguese expeditions: a naval expedition that was repulsed by the Malabari corsairs and another expedition by Filipe de Oliveira and his 5,000 strong land army which was able to inflict defeat on Cankili II. Cankili, along with every surviving member of the royal family were captured and taken to Goa, where he was hanged to death. The remaining captives were encouraged to become monks or nuns in the holy orders, and as most obliged, it avoided further claimants to the Jaffna throne. Chankili 2’s reign which had been secured with military forces from the Thanjavur Nayaks and Malabari Corsairs came crashing down. He was defeated by the Portuguese in 1619 and was taken to Goa and hanged. With his death the Aryacakravarti line of Kings who had ruled the kingdom for over 300 years came to an end. 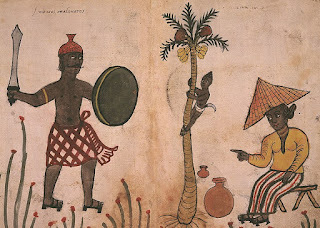 The Portuguese reported thus - Changili refused to pay tribute, and rejected all friendship with the Portuguese, and making the king his master unite with the enemies of Europe, he called to his aid the Badaguas, idolaters, a barbarous race who inhabit the country within the kingdom of Bisnaga from the Malabar Coast on one side and the Paravar on the other. They were the enemies of all, and especially of the Christians, cruel by nature, robbers by profession, and living on what they could steal. These, joined with the Naigue of Tanjaor, who was also their neighbour, were twice defeated and driven from the Island (on this occasion by Constantino de Sa on his way to the relief of Jafanapatan); but not before the Captain Philip de Oliveira had utterly routed and taken Changili with the blind king and some of his family. 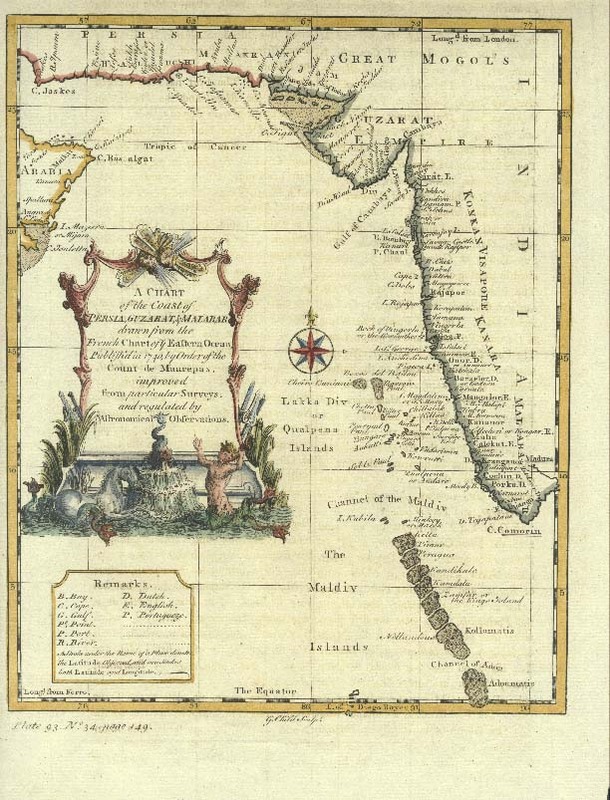 Dom Pedro disappeared as mysteriously as he appeared after this 1619 surge and it is believed that Ali Marakkar settled down in the Maldives islands with his slaves and booty. You may recall that the Maldives was always a transshipment point for the marakkar businessmen of Tamilakam, Cochin and Cannanore (see my Mammali Marakkar article under references) a stronghold of the Mammali marakkar and a locale always frequented by Marakkar traders. By this time the Dutch were already on the ascent, the Portuguese sort of let go of control over the Maladives and the reign of Shuja Imaduddin, to the rulers of Cannanore. Let’s now ponder on a possibility, did Dom Pedro spend time originally in Maldives? Was he the brother of Dom Joao the converted king of Maldives? People who have studied Maldive history would note that this Dom Joao and Dom Pedro were imprisoned in Goa in 1597 but treated well. Maybe, maybe not…. The ghost of Kunjali as he was more popularly known, vanished thus into the mists off the seas near Male….